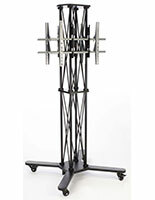 These 80" TV Stands Sized For 52" Flat Screen TVs Can Use Either Portrait or Landscape Orientation! 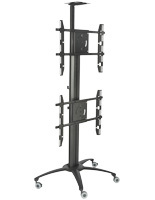 These TV Stands Are Knock Down Flat Screen Mounts for Portability! 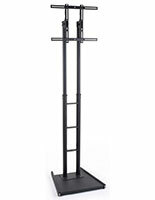 These 80" TV Stands Are in Stock and Ready to Ship! 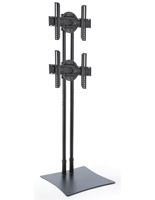 LCD showcases, flat panel monitor mounts, and different 80" TV stands can exhibit TVs in choice of landscape (horizontal) or portrait (upright) orientation. 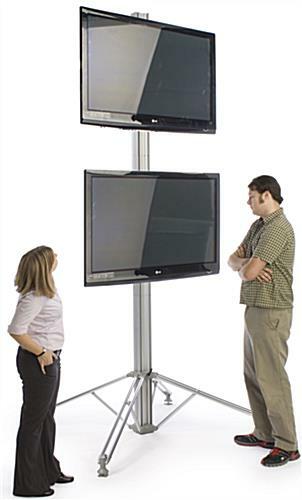 Screens can likewise be exhibited with one in landscape and one in portrait, or only put an individual oversee on the topside mount to tower above the crowd. 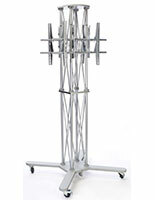 These plasma showcases, 80" TV stands have ground levelers on their extended legs, like some abode-utilize versions. 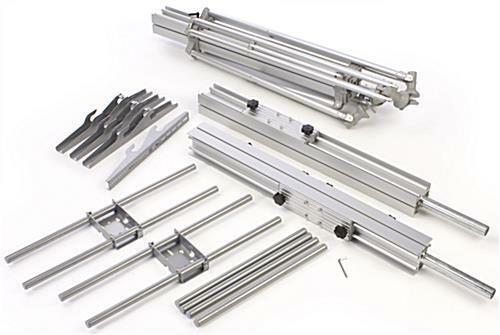 These levelers will assist stabilize the stand on unsymmetrical surfaces. This 80" TV stand sets up in moments, but affixing screens on these showcases can be a difficult feat. Expert lifts tend to be recommended. 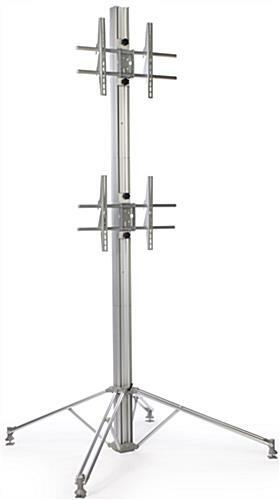 80" TV stands sized for 52" flat screen TVs can hold your Samsung, Vizio, Sony Bravia or other TV securely in place. 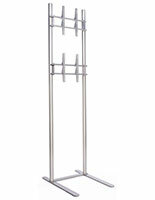 These 80" TV stands tend to be moveable, rendering them suitable for event utilize. This exhibit effortlessly breaks down into smaller pieces to be more manageable. 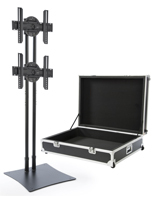 The plasma monitor TV showcases, 80" TV stands provide a travel case that holds all materials of the product. 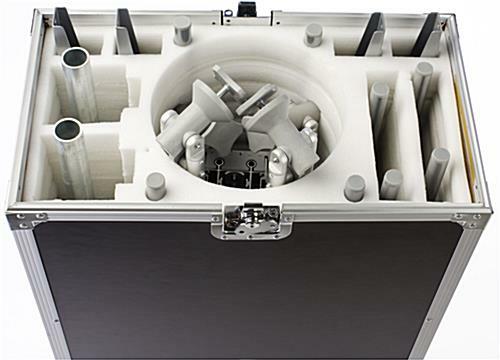 This case incorporates lockable wheels and likewise latches that can have a lock inserted for security utilize. 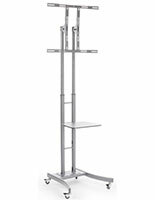 These 80" TV stands can exhibit (2) plasma or LCD TVs that weigh up to 80 lbs each. 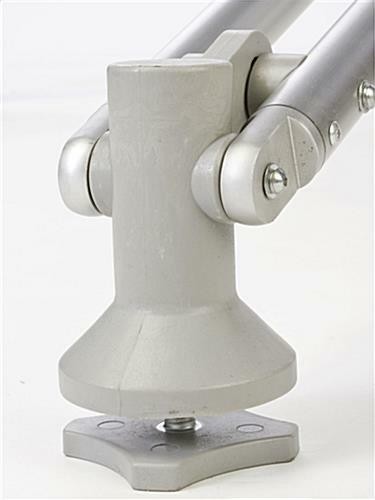 All essential washers, screws, and spacers tend to be provided for affixing utilize. An individual monitor affixed on the topside of the exhibit in choice of orientation surely captures the curiosity of attendees from across the room.